I have been away from this website for far too long, and I’ll get into that in a few days. But for now, I wanted to send a quick notice out to anyone who is coming here to look at the eBook Reviewers List (there is like 20 of you every day). 1) The list is now 2 years out of date. Over the coming month I will be going through it and making sure it is up to date. 2) Please note that the contact information on that page has been out of date for 1 year. Something about the email limit meant that they auto deleted one… or something. 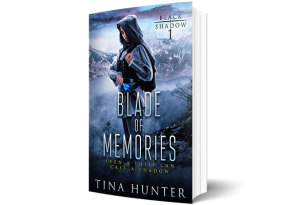 Anyway, if you had tried to get in touch with me in the last year about the List (trying to get on it, or to be removed from it) please resend that information through the contact form on the website or to: Tina “at” TinaHunter.ca. 3) I also wanted to say thank you for all the link love. I knew this was important but I didn’t realize you would all still be coming back here two years later. I’ll do my best to keep it going for you.